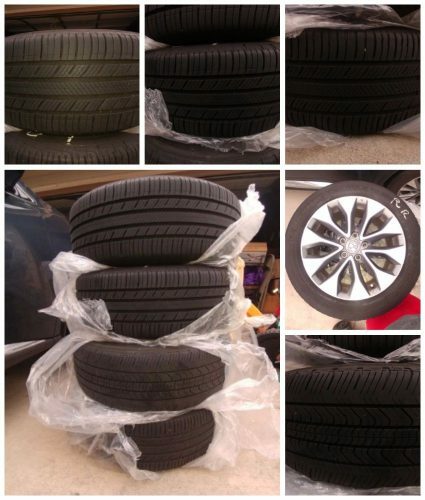 I am selling all 4 wheels and tires. The wheels are 17′ alloy and has scratches on the edges but still looks good. Tires are barely used since I bought some 19s for my car probably a week or so when I bought em. The tires are Michelin Premiere 215/55R17-94V and all tires still come with the warranty.